The Grachtenfestival is an eagerly-anticipated cultural highlight of the summer here in the Netherlands, drawing in thousands of music lovers from all around the world. The ten-day celebration of classical and contemporary music, held annually in August, is set along Amsterdam’s historic canal belt, giving musicians the once-in-a-lifetime opportunity to perform with the most beautiful locations of Amsterdam as their backdrop. 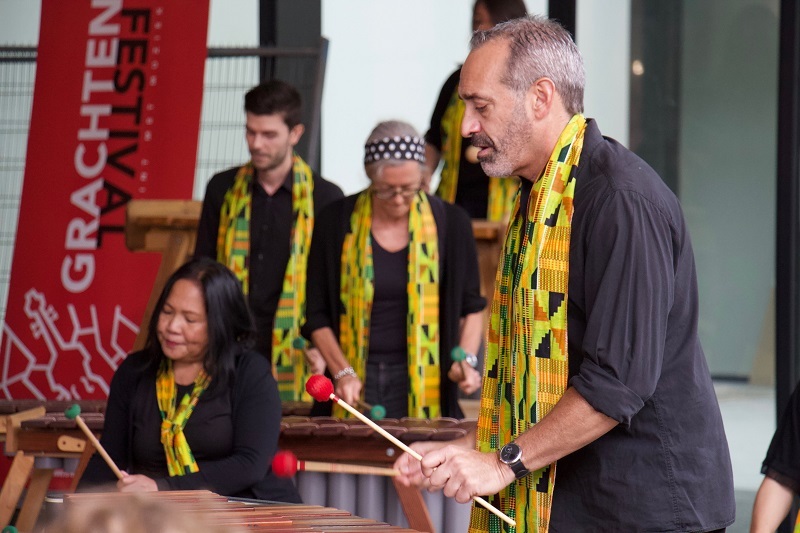 This year, for the festival’s 2018 edition, ISA’s student and adult marimba percussion ensembles got their ‘big break’ when they were invited by the event organisers to perform as one of the selected acts at the festival. For ISA, and the musicians, it was a chance to share the magic of the school’s rich musical programme with the world. For the public attending, it was a chance to learn more about marimba music and dance to the rhythm of a different drum.